Design led architecture studio Mailen Design, has recently completed a unique showroom for Knauf UK in Clerkenwell, London. 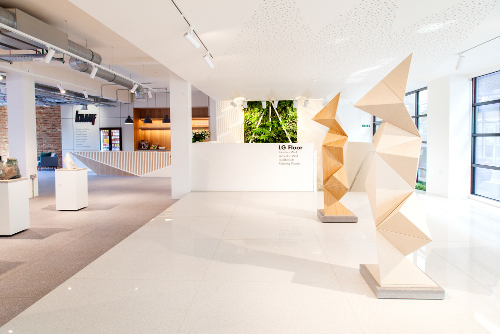 As an internationally renowned building systems supplier, Knauf appointed Mailen Design to provide a forward-thinking showroom environment to display their systems and products in inspiring ways and engage directly with the architecture and design community. 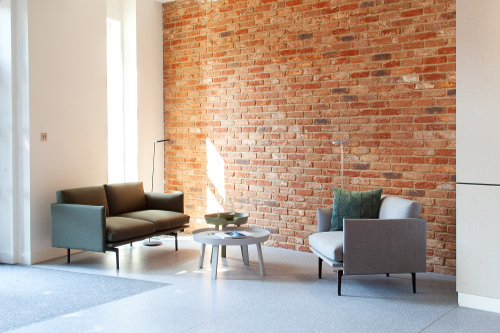 We had worked with Knauf on previous showroom projects (Domus) and were recommended to them for this project. What was the brief from the client and how much were they involved? 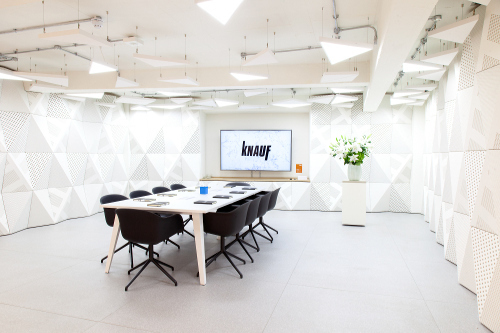 We engaged with Knauf in forming the brief from the outset. We led a number of workshops to agree the design direction, visitor demographic and product displays before developing our concept designs. 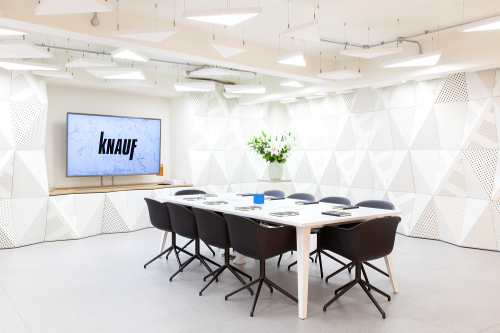 The brief was to change the perception of Knauf within the A&D community from a company you would engage at the technical design stage to someone you would speak to at concept design. The aim was to provide a space which both inspired and informed. How did the brief affect the materials and design choices? 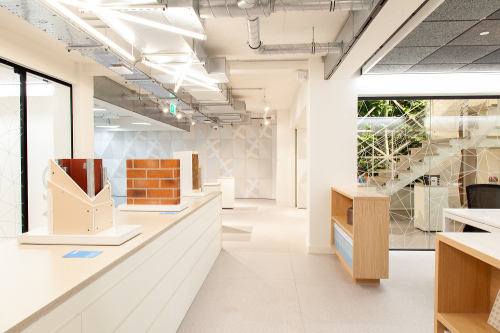 This had a huge impact as we selected materials which showcased the Knauf products in the best way, but were part of an integrated design solution which provided a showcase for Knauf finishes, details and technical specification. The forms and shapes used in the interior were to be visually interesting and technically appropriate. How did your previous experience help you with this project? 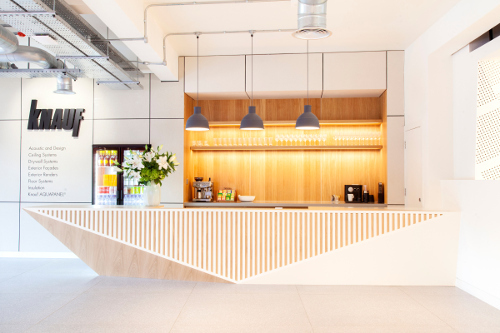 As we have delivered a number of showrooms within Clerkenwell and as architects ourselves we understood the target demographic and how to engage the A&D community. We aimed to create an inviting space where designers felt welcomed, get advice, work and ultimately be inspired. What problems or challenges did you face? Understanding the full range of products available and how to integrate these was the initial challenge. As with all existing buildings there are existing constraints which throw up new challenges as the project progresses. What do you feel were the most unusual design elements of the project? The adaptable acoustic wall within the basement and the double height living wall elements were developed using parametrics to explore design options but also to assist in the manufacture of the geometry. 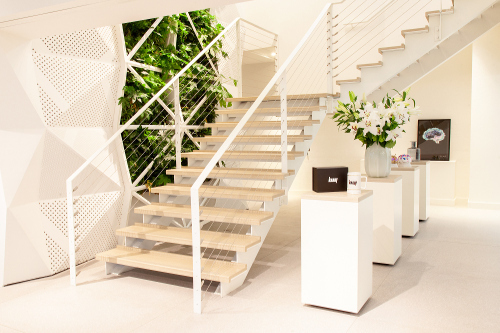 We designed the furniture and staircase using Knauf Gifa board to showcase its inherent strength, whilst the organic window display showcased the possibilities of CNC manufacture and unlimited colour choices. How do you think this project is pushing design forward? What makes it special? We took standard building systems and created spaces and forms which hadn’t been created before. We challenged what can be achieved which Knauf’s products and hopefully inspired others to do the same. Watch this space.